Sonic In Pokemon World. . HD Wallpaper and background images in the pokemon club tagged: pokémon funny sonic. 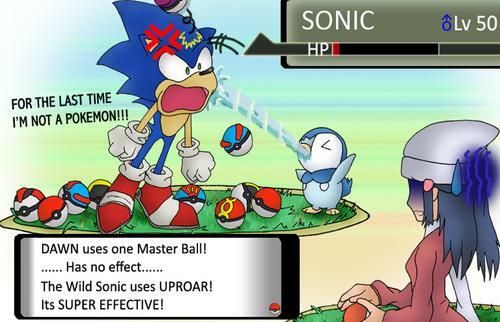 MEEEEEEEH WHY DOES EVERYONE RELATE SONIC TO POKEMON. But this is funny.